The second quarter of 2017 is in the books and we hit a record. Year over year revenue grew a whopping 32%. I am proud of that, but we really are just beginning. It is time to grow. There are two factors driving Q2’s outstanding results. First was the worldwide ransomware news about the WannaCry virus that spread rapidly and reportedly infected close to a quarter million computers in the space of a week. Not one of our customers were infected. I’ll take it one step further. Not one of our customers have been infected this year. Since implementing our malicious script blocking technology in December last year, PC Matic’s malware detection is ahead of the industry and more importantly ahead of the malware creators. The Wannacry infection exposed the deep flaws in the archaic black list architecture employed by the antivirus industry. The media attention shined a bright light, and our revenue growth is a testament to that. The second factor is traction in our efforts to penetrate the business market. We have adjusted our television messaging to include business and home customers. We are getting measurable and consistent leads from government agencies, school systems and enterprise, without impacting demand from our loyal consumer audience. When these leads come in, we distribute them to our expanding team of resellers and MSPs. I am pleased to report that this strategy is working. When I returned, I checked and Berkshire Hathaway is indeed a customer. They stock their offices with multiple licenses of PC Matic, the home version. That’s the epiphany. Berkshire Hathaway purchased PC Matic long before we made PC Matic Pro in March 2016. To the millions of PC Matic customers, please spread the word about PC Matic Pro. Now business and government agencies can enjoy the same American made superior security you enjoy in your homes. And to my new friends in Indiana. Thank you for your hospitality. I definitely felt that I was in PC Matic Country. 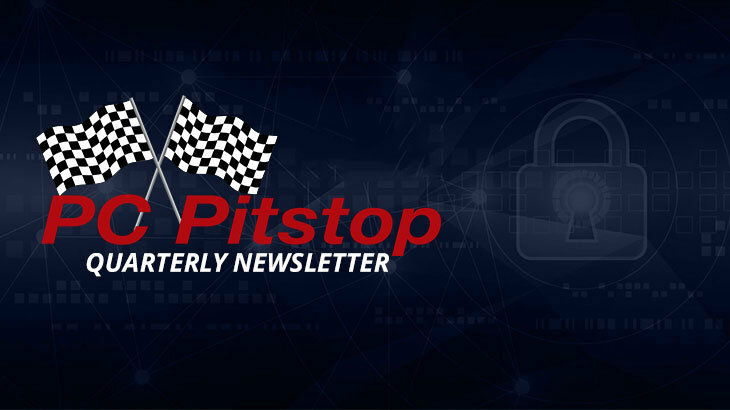 To read PC Pitstop’s Q2 newsletter in its entirety, click here. Q2 2017 Newsletter Q2 2017 Newsletter. permalink.